Susan’s civil trial practice focuses on defending nursing homes and personal care facilities in professional negligence claims resulting in personal injury and death. She routinely handles malpractice cases, as well as product liability, premises liability, and general liability claims arising from motor vehicle/trucking and construction accidents. Susan has tried cases in both State and Federal Courts in Pennsylvania. 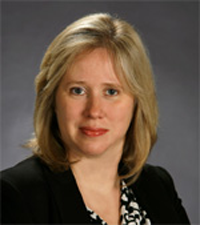 While attending law school, Susan worked full-time as a Registered Nurse in cardiology and intermediate care units. She continues to maintain her RN license. Prior to entering private practice in 2002, Susan served as a judicial law clerk to the Honorable Joseph M. James, Administrative Judge, Court of Common Pleas of Allegheny County, Pennsylvania, and worked as a staff attorney for Neighborhood Legal Services Association. Susan has volunteered for several non-profit organizations, most recently for HEARTH, including serving on the board of directors and committees. HEARTH provides housing and supportive services to homeless women and their children.